Luke O’Neill - What Does it Mean to Be Human? 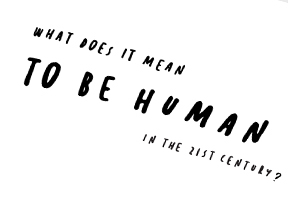 A lecture by Prof Luke O'Neill as part of the as part of the 'What does it Mean to be Human in the 21st Century?' series. It all started with a bang. Or did it? Opposites attract. Or do they? We’re only human. But for how much longer? We’ll all die one day. Or will we? Prof Luke O’Neill, will talk about our amazing existence and the future of humankind. He will explore what it is to be human from a scientific perspective, from the origin of life on Earth that led to us evolving on the plains of Africa some 200,000 years ago, to what makes us truly human, with topics ranging from why we listen to music, to the science of love, sleep, humor, ageing, death and even beyond death. He will also discuss our ingenuity as a species and consider how artificial intelligence is changing the world as we know it. So if you want to live long and prosper, come along and join him on a roller coaster ride through life, the universe and everything for humankind. Professor Luke O’Neill holds the Chair of Biochemistry at Trinity College Dublin where he leads the Inflammation Research Group. He has a PhD in Pharmacology from the University of London and carried out Post-Doctoral research at Cambridge U.K. His research is in the area of the molecular basis to inflammation with a particular focus on innate immunity, Toll-like receptors, inflammasomes and metabolic reprogramming in macrophage activation. In 2018 he was named by Clarivates as one of the world’s most influential scientists, being in the top 1% in Immunology. He is co-founder of 3 Spin-out companies - Opsona Therapeutics, Inflazome and Sitryx, which are developing new treatments for inflammatory diseases. He has won numerous awards for his research including the European Federation of Immunology Societies medal, the International Cytokine and Interferon Society Milstein Award, The Royal Dublin Society Boyle Medal for Scientific Excellence, The Royal Irish Academy Gold Medal for Life sciences. He was elected a Fellow of the Royal Society in 2016. Professor Luke O’Neill is author of Humanology: A Scientist’s Guide to our Amazing Existence (Gill, 2018). The lecture series is organised by the Trinity Long Room Hub Arts and Humanities Research Institute in partnership with The Dock, Accenture’s global research & incubation hub in Dublin.